The Holt Nickel 5 Arm Chandelier by Heathfield & Co offers a contemporary presentation of a classic chandelier design. The understated, clean lines and subtle detailing works equally well in both modern and traditional homes. Timeless and sophisticated, create a focal point within a dining room or living space. 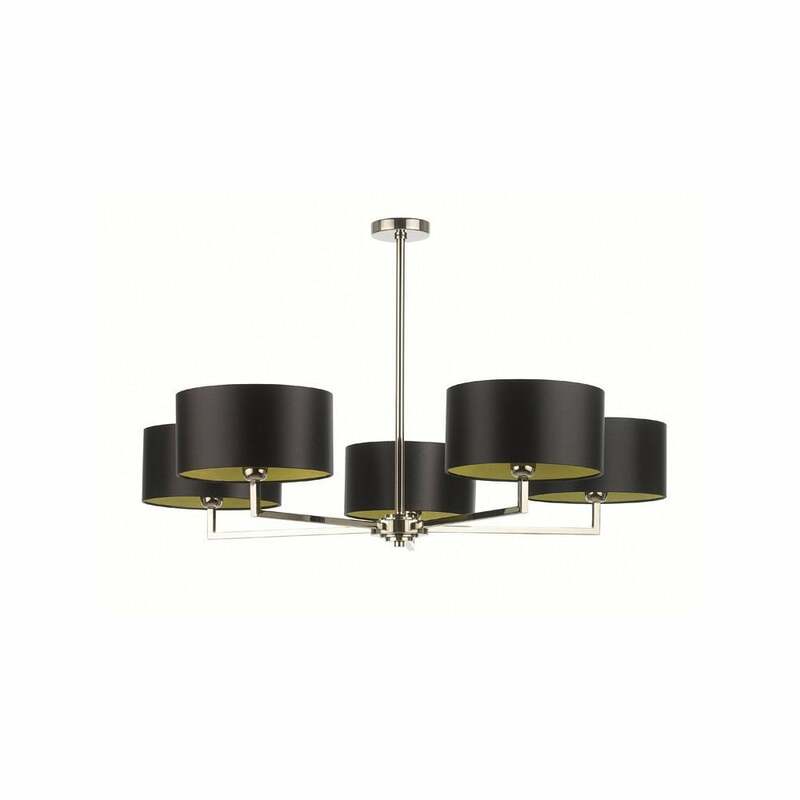 Complemented by black satin shades and a contrasting gold pvc lining, this chandelier will add a touch of luxury to any interior scheme. Choose from a wide selection of fabric shade and colour options. Make an enquiry for more information.